A free smartphone app set to launch Monday in the UK, ‘Sweatcoin,’ aims to give digital rewards — called ‘sweatcoins’ — to those willing to get off the couch and earn it. 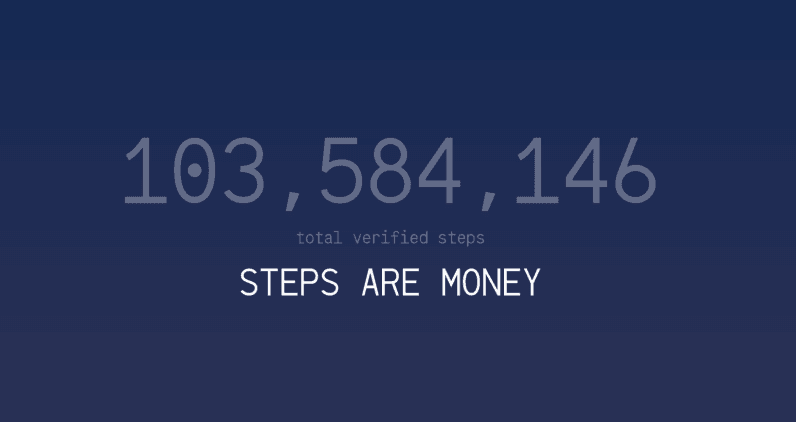 Sweatcoin uses your smartphone’s existing tools for measuring movement and location in attempt to get people (with an iOS device) moving by incentivizing them with rewards, both financial and non. For now though, rewards are strictly in the form of products, classes and coupons. The rewards aren’t your typical “free smoothie” or “half off a cup of coffee,” however, instead you’ll find Vivobarefoot running shoes, Kymira infra-red clothing and fitness classes from Wonderush or BOOMCycle. If Sweatcoin succeeds, the plan is for sweatcoins to be redeemable for actual cash. To accomplish this, Sweatcoin’s long-term plan is that insurers or employers might pay to buy the digital currency as an incentive to keep customers and employees fit — a move that could lead to significant savings for both companies and insurers. The app also features several anti-cheating measures — as well as a propriety version of blockchain technology — designed to ensure users are actually moving, and not gaming the system. If you’re not living in the UK, or don’t own an iOS device, fear not; Sweatcoin is working on an Android version (expected to release in a few months), and it plans to enter the US market in the coming year.